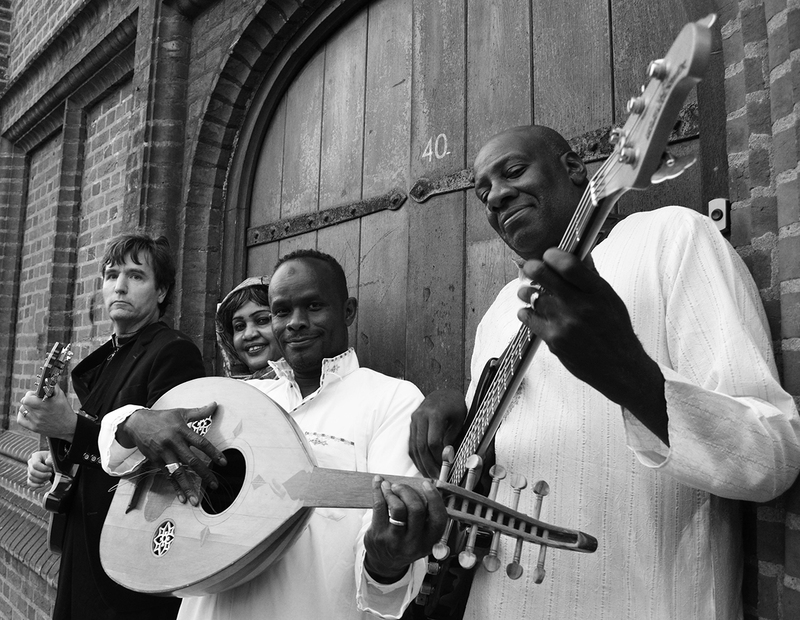 Having fled from the fundamentalists in their home country of Sudan, the original members of psychedelic group The Scorpios established themselves in London during the 80s. Once there, they built a growing friendship with guitarist and community worker Adam Bulewski, who quickly became a permanent member of the band. Inspired by traditional Sudanese music and 60s and 70s pop, The Scorpios create an elated mix of Arabic rhythms, raw Eastern funk and vintage psychedelia.